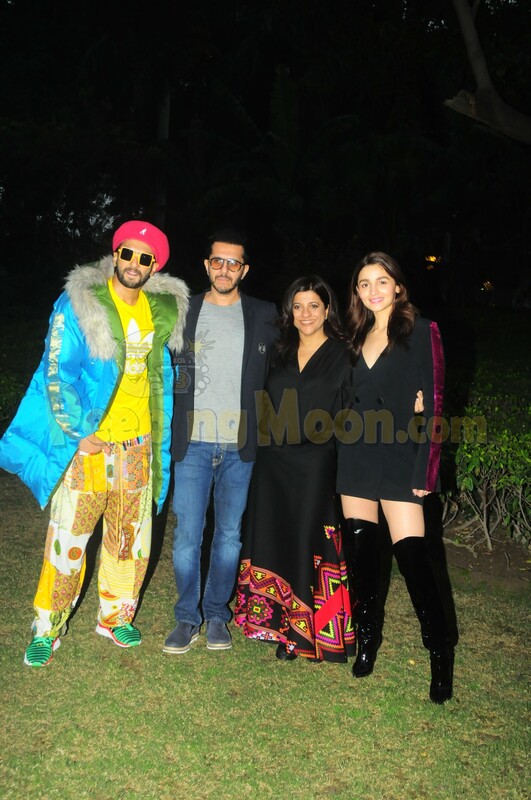 Director Zoya Akhtar said that she will not react to comparisons between her film Gully Boy and American rapper Eminem’s 2002 film 8 Mile because she is sure of the fact that the audience will understand the difference after watching her film in theatres. Gully Boy stars Ranveer as a street rapper from Mumbai and his character is inspired by the life of Indian rappers Naezy aka Naved Shaikh and DIVINE aka Vivian Fernandes. While speaking to a leading daily, Zoya said that 8 Mile is the “biggest reference” for rap as a result of which comparisons were pretty much obvious. She also added that her 2011 film Zindagi Na Milegi Dobara was also compared to the Hollywood film Hangover, and she was upset at that time owing to reports as such. 8 Mile, directed by Curtis Hanson, released in 2002 and starred Eminem, Mekhi Phifer, Brittany Murphy, Michael Shannon, and Kim Basinger in the principle roles. The film is based on Eminem's upbringing. Gully Boy, meanwhile, also stars Alia Bhatt as a medical student and Ranveer’s love interest while Kalki Koechlin appears as an influential musician. The film was received extremely well at its world premiere at the 2019 Berlin International Film Festival over the weekend.